Don’t bother finding a replacement. Don’t respond to scheduling requests. Require you to scramble for at least one last-minute replacement weekly. A team with this much dysfunction is more common than you think. 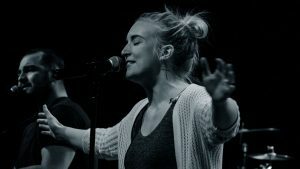 I’m amazed at what some worship leaders put up with from their team members. But even if your team only has a fraction of the above infractions, you still have some very real commitment issues. It’s why you need a fantastic scheduling process. In fact, if you get it right, you can raise the commitment level of your team. More on that in a second. So central to every healthy worship team are systems and processes that hold the ministry together. 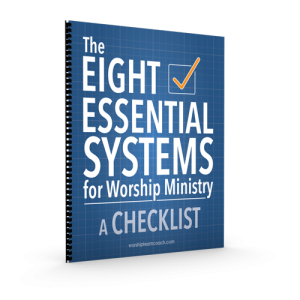 And which eight systems are essential to your worship ministry. Don’t let that word system throw you. A system is simply your or your team’s way of getting something done. 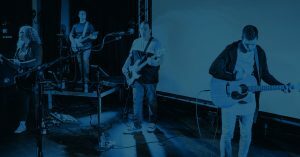 A worship team needs multiple ministry systems to run well, and one of those essential systems is how you schedule musicians. 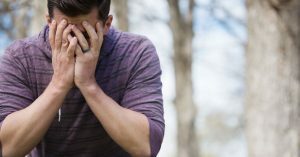 Now, I’m not talking specifically about a scheduling app or tool (like Planning Center Online’s Services or WorshipTrac). These apps can’t make your team more committed any more than the treadmill in the corner of my bedroom—doubling as a clothes rack—can make me skinnier. A scheduling app is merely a tool in a system. But if you set up the system in the right way, that tool can help you cultivate a more committed culture on your team. So we’re going to dig into the six elements of an effective scheduling system. And along the way, we’ll also look at the common features of scheduling apps that can help you make that happen. 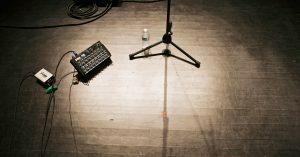 Remember, this is not just about creating a monthly musician roster or rotation. It’s about producing a process that will help change your team’s culture of commitment. So let’s dig into the critical elements that can help you raise the “all-in” level of your team. Your team needs instant, 24-7 access to their schedules, the setlists, and the music files. Emailing mp3s and Word documents from your MacBook won’t cut it. 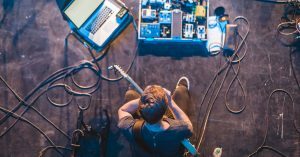 To serve busy volunteer musicians and techs, you need a scheduling and music distribution tool that’s easy-to-use, always accessible, and displays updates in real time. I can’t say this enough—if you’re still using some combination of Dropbox, Facebook, email, texts, carrier pigeons, and YouTube links to schedule your team and distribute music, STOP! Do yourself a favor and invest in a scheduling app. It’s worth the cost, even if you pay for it from your own pocket. Now, finding the right scheduling tool is just the start. The next element is critical. I spent several years shifting the culture of commitment on my team. One of the ways I did that was by creating an expectation of response and responsibility. First, I required my team to use the scheduling app’s accept and decline feature. So when I post the latest schedule, my team members are expected to respond by hitting the Accept or Decline buttons for their scheduled times. And if they decline, they are required to give a reason and find their own replacement. That’s the responsibility part. More on that in a bit. Now, was this shift easy? Oh, crud no. This article doesn’t allow space to talk about how to do that in detail. But just know I had to repeat the same expectations over and over (and over) and have more than a few “come to Jesus” conversations. While creating expectations is crazy important, it’s not enough to just require something. If you’re truly going to change the culture, your team has to “own” their behavior within that system. And that’s the next element of a commitment-building scheduling system. To deepen the sense of responsibility and build ownership, we use a calendar block-out feature inside our scheduling app. Team members can mark any dates for which they’re unavailable (for both weekend services AND our rehearsal night). If I happen to schedule someone on a blocked weekend, that’s on me. I’m the one looking for his replacement. But if a team member doesn’t block his dates and I schedule him, he’s required to look for a replacement. Now, do I help team members find a fill-in? Sure. I’m happy to do that. But what we’ve (almost) eradicated on my team is the nonchalant declining with no sense of personal responsibility. Blocking dates is a simple way to give team members a sense of (healthy) control and ownership. Now, to make the expectation of blocking dates stick with your team, you need the next element of a great scheduling system. You can’t expect people to take ownership and responsibility for an erratic scheduling process. People need predictability. For my team, we’ve established a rhythm for scheduling one month at a time, two months out. So in mid- to late January, I schedule March. In February, I schedule April, and so on. Each month around the 15th, we send a reminder to the team (via the scheduling app) to block their dates out for the upcoming schedule. Speaking of making schedules out for multiple weeks, that’s the next element of a commitment-building scheduling system. It takes less time to schedule four Sundays at one time than it does to schedule four Sundays at four different times. That’s batch processing. It’s grouping similar tasks together to streamline the operation. At the time of this writing, this is the one area where I deviate from my scheduling app. To make sure I get everyone scheduled and have all the positions filled, I use a simple Google spreadsheet. After I double check it (OK, my assistant double checks it…I’m not so good at the details), she puts it into the scheduling app. Now, with all these characteristics of a great scheduling system, the capstone holding it all together is the next one. 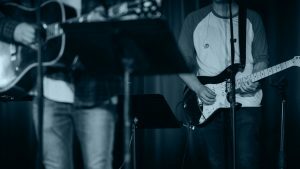 Years ago, when I arrived at my current church to rebuild a once-thriving worship ministry, I found the administrative assistant using three different forms of communication just for the schedule. She’d mail a hard copy of the monthly roster. Then email a PDF of the same thing. Then, each week, several email reminders would go out, along with an automated phone call. That system essentially begged the team members to ignore most of the messages. Once we moved to PCO, I determined that each communication form would have a primary purpose. Texting and phone calls are for immediate, urgent, or last-minute communications. Snail mail is for important, “everyone-please-read-this” communication (like policy changes or an upcoming training event). Email is our mode for the routine dissemination of schedules, setlists, reminders, etc. And with our scheduling app, those emails become instant notifications for the smartphone users. Now, you might have someone who says, “I don’t check my email” (or have a smartphone, or whatever). Let me encourage you. If it feels like your team is a long way from the kind of commitment that we’re talking about here, please hear this: even small changes to your scheduling system can start the process towards building stronger commitment. Start small. Stick with it. Be patient. Keep building. The bottom line is this: Your systems create behavior. Good systems produce good behavior, and bad systems produce, well, ulcers. 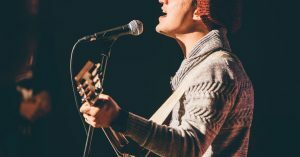 A two-part version of this article first appeared in the December 2017 and January 2018 issues of Worship Musician Magazine.